1.1 This standard is designed to reduce environmental impacts by specifying criteria for energy efficient harmonic cancellation transformers. 1.2 This standard is a republication of Ecologo Certification Criteria Document (CCD) 015: Energy Efficient Harmonic Cancellation Transformers. 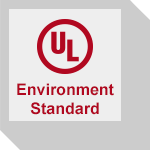 The criteria have been reformatted for consistency with the Style Manual for UL Standards.